There are certain things in which you know deep in your heart that you need, but you don't think they exist. This, is one of those things. I'm on a very important journey. A journey of self discovery. A journey to switch up my extremely boring yet, mostly effective (in my humble opinion), makeup routine. What do I do every single day? A little foundation on my cheeks, black eye liner, mascara, blush, red lips - sometimes orange or purple. But that's it! So...I'm spreading my wings. I had a ton of makeup but because I never used any of it and couldn't remember when I acquired it, I tossed most of it except for the things I use daily and am starting over. I've had a few successful trips to Sephora - I might do a haul if you guys are interested (let me know if the comments). 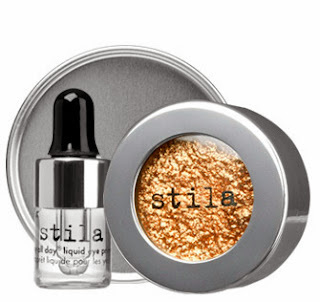 The first new product I wanted to share with you is Stila's Magnificent Foil Finish Eyeshadow. This might be the most incredible single shadow I've ever seen! There are a ton of finishes. I'm wearing the Vintage Black Gold but I think that I'll be going back for the Titanium Gun Metal as well. How it works: There is a little bottle of liquid primer - personally I don't think it's enough, after 2 uses it's kind of almost gone and I used it very sparingly. Anyhoo - it's awesome you can just use it without the primer for a more sheer glimmery (is that a word?) effect. 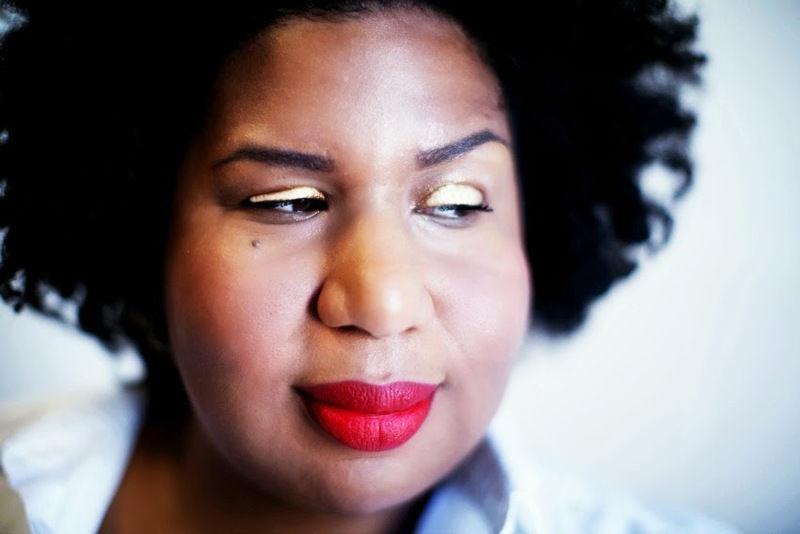 But I've always known I needed gold leaf'esque eye lids and so I love the full intense foiled look. So, I just go for it. Please note, I'm not a model and so sticking a camera really close to my face just makes me shudder and freak out haha so I didn't really know where to look in order to show you what it looks like on, so I hope I did an ok enough job at that. I think you can see the intensity but the camera didn't really pick up just how metallic and foiled the shadow is. Moral of the story, I'm obsessed.